Help protect your home from water damage with seamless gutter installation and repair. 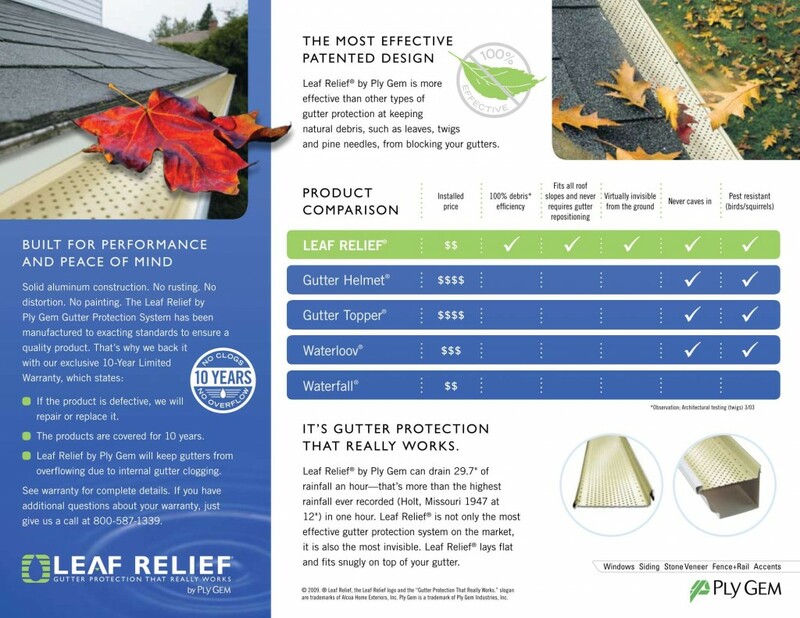 We can also install gutter covers with Leaf Relief by Ply Gem or Leaf Proof to keep your gutters clear of debris. Need gutter installation? We can take care of the installation with proper materials. Our gutter repairs will ensure your home will be clear of water damage during big storms.